If you go fishing, you either need a boat, or you’re limited to standing at the shore in some waders, right? 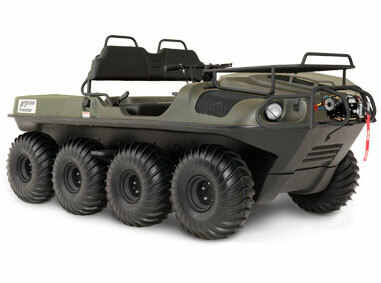 There’s another option: Argo XTVs. 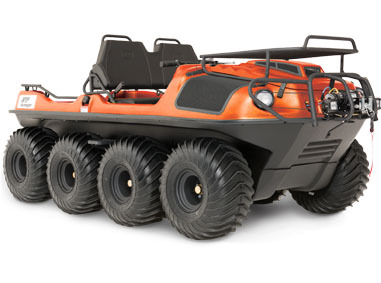 These vehicles give you fast access to lakes and rivers as well as the streams, ponds, and swamps that normally are only accessible on foot. 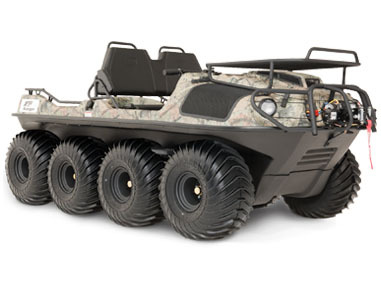 It’s no wonder why these vehicles are so popular with amateurs, professionals, and outfitters. 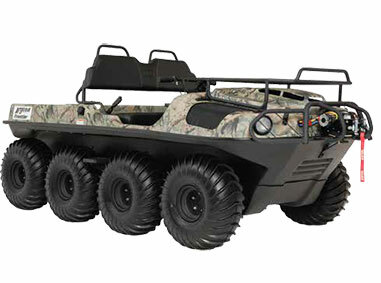 The advantages of an XTV when fishing are obvious. 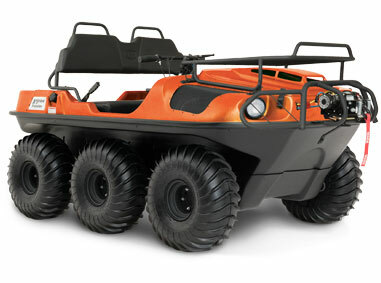 Since it functions as both a UTV and boat, you can take a direct route to your fishing spot: just drive to the closest shoreline and go straight into the water. 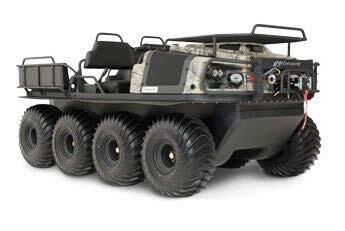 Want to access a remote pond or lake? 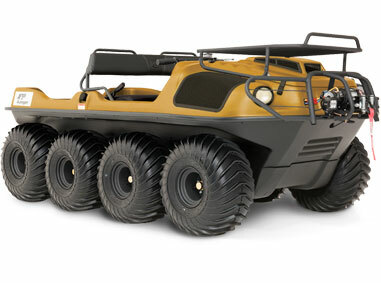 The all-terrain capability of these vehicles lets it climb over steep inclines, drop-offs, and all types of surfaces from mud to gravel. It also means there’s no need to worry about running aground: if you can’t boat through an area, you can drive over it. Want to fish on the shore? Simply drive up the river or stream until you find just the right spot. 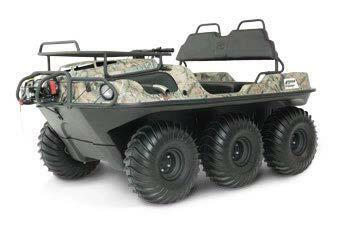 Once you’ve found your fishing spot, you can stay in the comfort of your XTV. 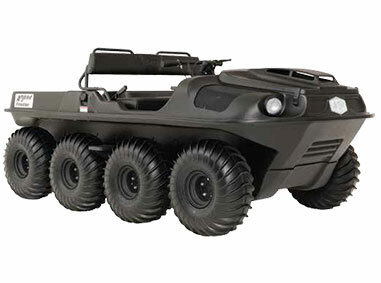 There’s no need to stand in cold water when it can park over shoreline or among the reeds, and the vehicle’s low center of gravity keeps it stable when you move around to cast a line or load up your catch. How does it perform in water? 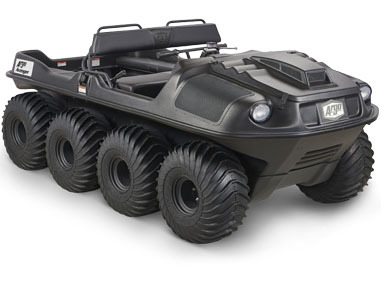 The paddle tires will propel the vehicle up to 3 mph (5 km/h,) and an outboard motor can be added to move through the water at boat-like speeds. 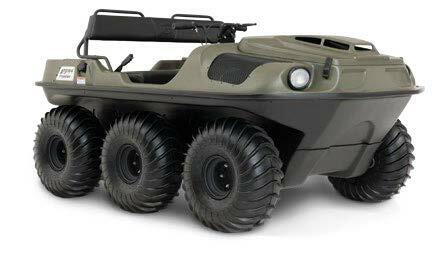 Once you’re where you want to be, the Argo’s propulsion can be used like a trolling motor, but with higher steering precision. Turn the handlebars all the way in either direction, and the vehicle will spin in place so you can get the right angle to cast. Wide fenders deflect water splashed up by the tires, but if some water does make it inside the hull, there’s a bilge pump built in to drain it out. 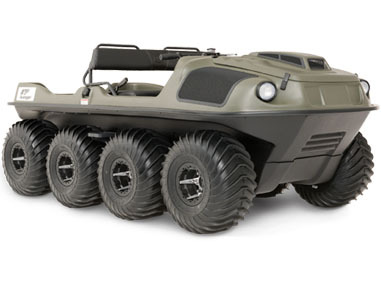 These vehicles are great for ice fishing, too. The massive tires spread out the weight so that ground pressure is less than that of a human foot, so ice thickness is never a worry. If the ice does break, the vehicle simply floats on top of the water, keeping you safe. 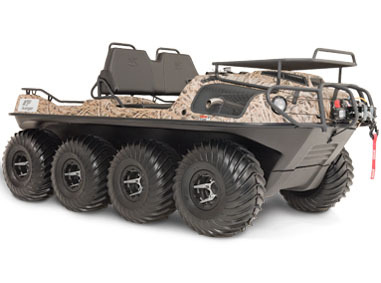 The XTV can be outfitted with a range of equipment including canopies, heaters, and heated grips, turning your vehicle into a mobile fishing shack.